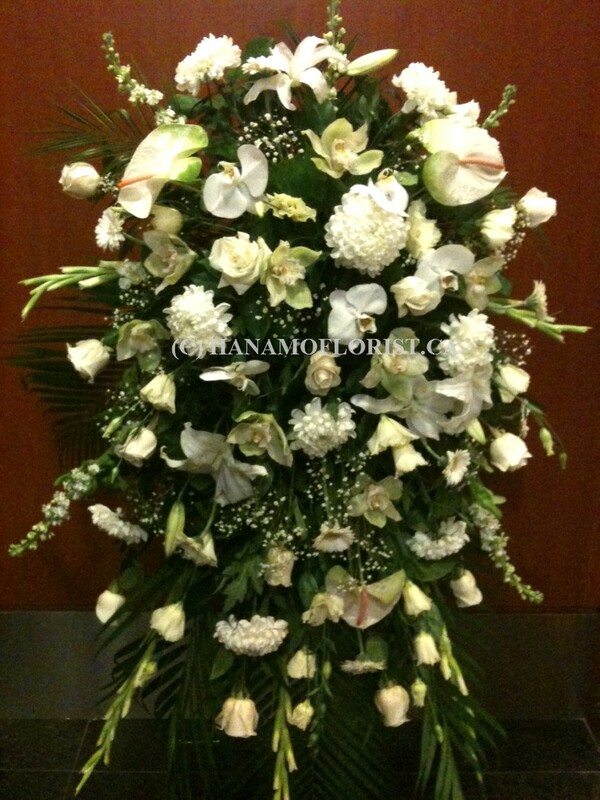 FUNERAL Sympathy : Hanamo Florist Online Store, Vancouver, BC, Canada, Quality arrangements using a plethora of the freshest flowers. Professionally made picture frame flowers , this sample is for the picture in the size of 30inch x 40 inch on top right corner. Banquet Table Centre Japanese style, Minimum Order of 2 or more.